Redmi 2 happens to be one of the first budget smartphones that were wildly successful for Xiaomi in India. In the following years, the next generation of Redmi phones did outsell the Redmi 2, but the phone set a precedent for others to follow. The Xiaomi Redmi 2 smartphone was launched in January 2015 and was announced for a price of Rs 6,699. The Xiaomi Redmi 2 is powered by 1.2GHz quad-core processor and it comes with 1 GB of RAM which happens to be quite a lot for budget devices in 2015. In the camera department, the phone has an 8MP primary camera on the rear and a 2 MP front shooter for selfies. The Xiaomi Redmi 2 runs on Android 4.4 and is powered by a 2200mAh removable battery. However, now Xiaomi has announced the Redmi 6 and the time has come for you to change. Fortunately, Cashify is a service which is quite appropriate for this. 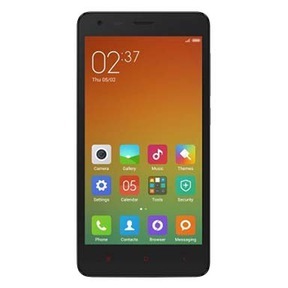 Why Sell Your Old Redmi 2 On Cashify? 1. Cashify uses automatically generated, transparent algorithms to calculate the value of your used Redmi. 2. Simply share the details about your Redmi 2’s condition, age, warranty period, and more. 3. Based on the information you provide, Cashify will quote you the best price for your device, along with a doorstep pickup so you don’t have to step out of your home to make the sale. 4. Cashify’s agent will then arrive and complete the sale after inspecting your device and providing you with the money for your Redmi 2 right at your doorstep - in any payment method of your choice - cash, e-wallets, or even bank transfers. You can be assured of the best price if you are selling your old Redmi 2 on Cashify’s website, with its fair and transparent pricing and doorstep pickup for your device. Cashify has even partnered with nearly all the top global smartphone brands for smartphone exchanges - which includes the likes of Apple, Samsung and OnePlus. 2. Search for the Redmi 2, and share the condition of your device.